Have a little fun this holiday season with this adorable bird card! Cozy up to these cuties in scarves and hats, all decked out for the chilly weather. This card will surely bring a smile to any friend or loved one. 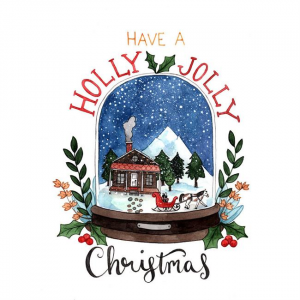 Get into the holiday spirit with this snow globe Christmas card! 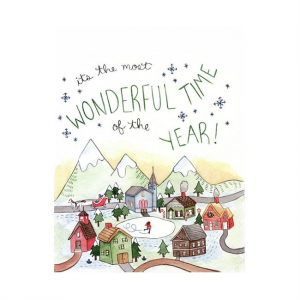 It joyfully portrays a snowy scene in the mountains all decked out for the holidays. It'll bring a smile to any recipients face. Do you have a special someone you love to wander with? Someone you'd walk to the ends of the earth with? 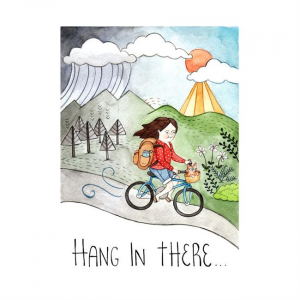 Climb mountains with? Swim ice cold waters with? 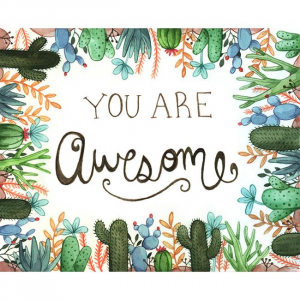 Then this card is just right for you! This versatile holiday card will charm any recipient. 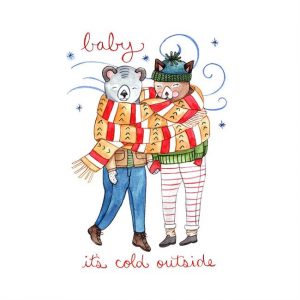 It pictures two adorable animals holding hands, all wrapped up tightly in a giant scarf. The inside is blank so you can use it for any holiday or winter occasion. 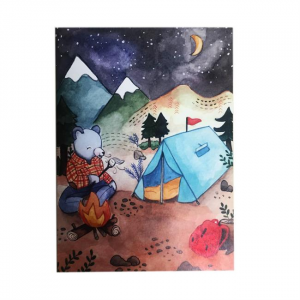 Say hi from camp with this adorable greeting card. Check out this adorable holiday sweater wearing sloth preparing to decorate his little cabin for Christmas. 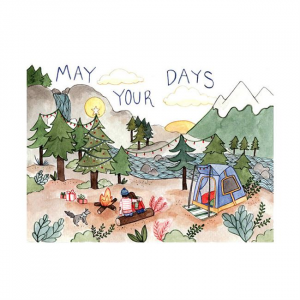 This endearing card will delight the young and the young at heart. 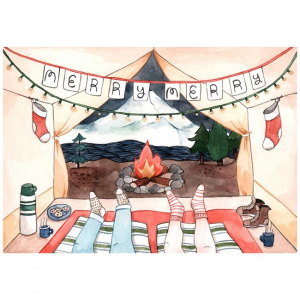 Get into the holiday spirit with this adorable Christmas card! 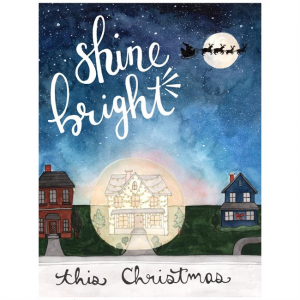 Shine bright with all the Christmas lights this season! 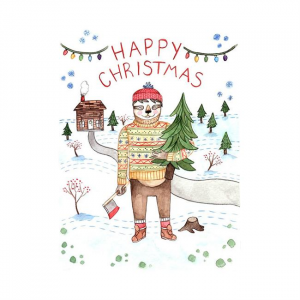 This card will bring a smile to any recipients face. 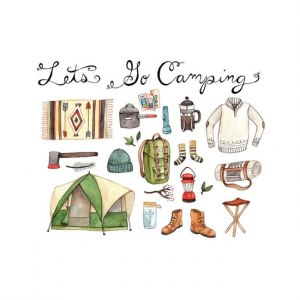 The perfect Christmas card for the outdoorsy types in your life! This heartwarming card is blank inside to add your own special holiday message.